Since joining Alliiance in 2005, Dan has evolved into a firm leader in retail and food and beverage for national, local, and boutique clients. Specializing in small project development and delivery, Dan has managed and designed lifestyle projects for clients nationwide in higher education facilities, hospitals, airports, and malls as well as prototype development. With a desire for integrating profitability and design, Dan is committed to ensuring the integrity of the client’s brand. Dan is highly valued by his colleagues for his mentoring skills and his clients for his professionalism. 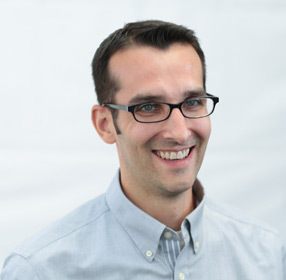 Dan is a graduate of Montana State University with a Master of Architecture degree and participated in the 2015 AIA Minnesota Leadership Forum. In his free time, you can find Dan jogging and biking along the trails in South Minneapolis, exploring the city with his wife and two children, and rooting for all the local sports teams.